Batman is about to take to the streets of Gotham once more on the Nintendo Switch. Batman – The Telltale series is about to arrive on the system in North America on November 14th and in Europe and Australia on the 17th. Take the role of Bruce Wayne himself, as he struggles between his normal life and as the titular Batman. It will be for both retail and digital for $39.99 on both formats. All five episodes will be available by default on the cartridge. The game itself is separate from Batman: The Enemy Within. The latter is already available and a special “Season Pass” disc on PlayStation 3, PlayStation4, Xbox 360 and Xbox One. 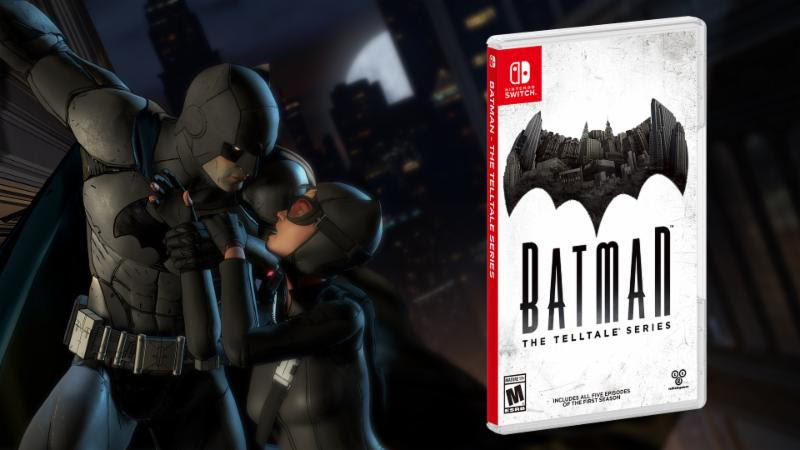 The first season of Telltale’s fresh take on Batman canon comes to Switch on November 14 in North America and November 17 in Europe and Australia from Telltale Games, Warner Bros. Interactive Entertainment, and DC Entertainment. SAN RAFAEL, Calif.m November 9, 2017 — Award-winning publisher and developer Telltale Games, in partnership with DC Entertainment and Warner Bros. Interactive Entertainment, today confirmed that Batman – The Telltale Series will launch on Nintendo Switch on November 14 in North America and November 17 Europe and Australia. The full first season will be available both digitally and at retail; both formats will cost $39.99 USD in North America. All five episodes will come already loaded on the retail cartridge. This will be Telltale’s first mature-rated title on the system, so we’re really excited not only to have our game on Switch but also to approach a new audience with a game we’re really proud of,” said Execute Producer Sean O’Connor. “We think our unique take on Batman is a great way to introduce Nintendo fans to Telltale’s style of storytelling. It’s also nice that returning fans will be able to experience the game on a console they can take with them everything. 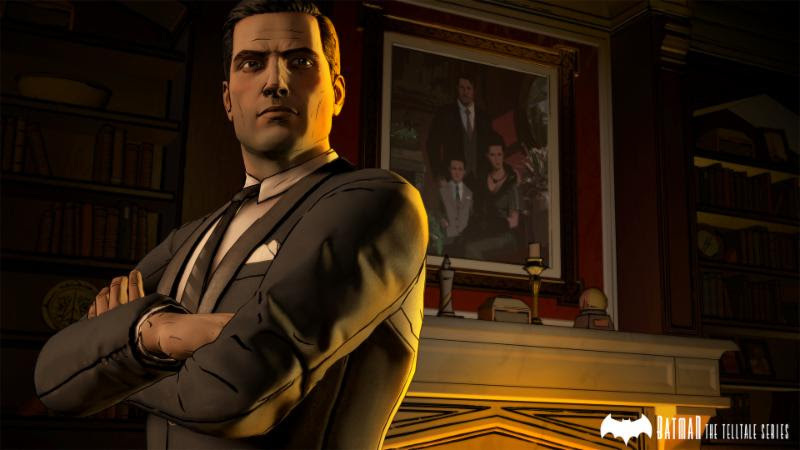 Batman – The Telltale Series gives players the opportunity to role-play as both Bruce Wayne and Batman in a fresh take on Batman canon. In the series’ opening episode, ‘Realm of Shadows,’ Bruce Wayne is forced to question everything he thought he knew about his identity when he discovers his father was in fact a ruthless crime boss. As both Bruce and Batman, players must negotiate harsh political turmoil and prevent Gotham City from descending into chaos while digging into the truth about the Wayne family’s sordid past. Rendered to look like a living, breathing comic book, Telltale’s vision of Batman features an award-winning cast of talent, including Troy Baker in the role of Bruce Wayne, Travis Willingham as Harvey Dent, Erin Yvette as Vicki Vale, Enn Reitel as Alfred Pennyworth, Murphy Guyer as Lieutenant James Gordon, Richard McGonagle as Carmine Falcone, Jason Spisak as Oswald Cobblepot, Dave Fennoy as Lucius Fox, Anthony Ingruber as John Doe, and Laura Bailey as Selina Kyle. 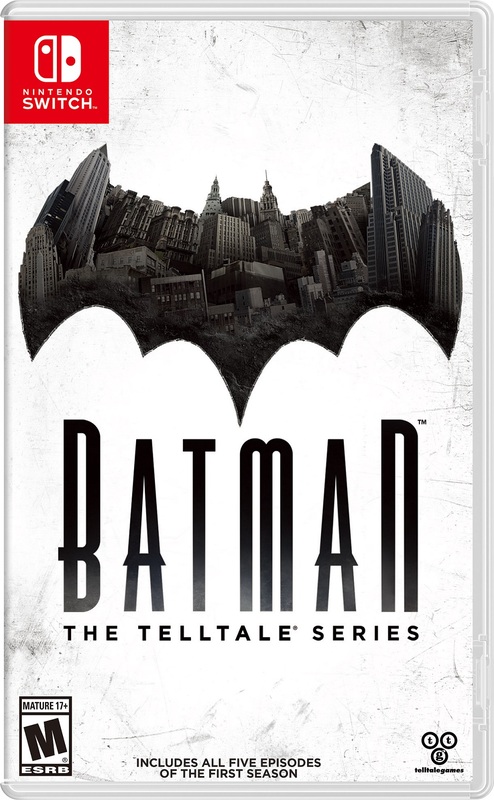 Batman – The Telltale Series is a standalone produce separate from the second season, Batman: The Enemy Within. It is currently available at retailers across North America on a special ‘Season Pass Disc’ for Xbox One, Xbox 360, PlayStation 4, and PlayStation 3. The disc includes the first episode of the season, as well as access to download all subsequent episodes through an online connection. Both Batman – The Telltale Series and Batman: The Enemy Within are licensed by Warner Bros. Interactive Entertainment and based on DC’s iconic character. All currently available episodes have been rated ‘Mature’ by the ESRB. For more information on Telltale Games, visit the official website, follow @TelltaleGames on Twitter, and like Telltale on Facebook. Warner Bros. Interactive Entertainment, a division of Warner Bros. Home Entertainment, Inc., is a premier worldwide publisher, developer, licensor, and distributor of entertainment content for the interactive space across all platforms, including console, handheld, mobile and PC-based gaming for both internal and third-party game titles.